The ad, paid for by the Family Research Council and the American Family Association in cooperation with SPLCExposed.com, points out the condemnation of the historic “civil rights” group by former employees. “The Southern Poverty Law Center, founded as a civil rights advocacy organization, has lost its way,” the ad says. “The bigotry and racial discrimination described by its former employees is evidence of SPLC’s hypocrisy. “The SPLC has become a hate-for-cash machine that has weaponized its hate labeling of groups and individual people. As SPLC collected hundreds of millions in donations, it expanded its definition of ‘hate’ to non-violent conservative, Christian, and parent organizations who opposed the SPLC’s political agenda. “Now, the SPLC’s hate for cash machine has been described by within as a ‘highly profitable scam,'” the ad states. Many media outlets and other companies rely on SPLC to identify groups with which it should not conduct business. SPLC’s labeling of the Family Research Council as a “hate” organization prompted a man to attack its Washington headquarters, intending to kill as many people as he could. The ad includes quotes from former SPLC employees. The ad points out that founder Morris Dees recently was fired and president Richard Cohen quit. “It’s top lawyer departed as the scandal spread,” the family groups say in the ad. WND reported this week that Twitter has distanced itself from SPLC. “It is long overdue that social media companies stop using the hypocritical SPLC as a reliable source to police their content and discriminate against pro-family and conservative nonviolent organizations,” said Mat Staver, chairman of Liberty Counsel. “The rest of the tech companies should follow Twitter’s lead and divorce from the SPLC. “The four major social media companies in Silicon Valley, Facebook, Amazon, Google and Twitter, worked with or consulted the SPLC as early as June 2018 to help police their platforms for ‘hate speech’ or ‘hate groups.’ Twitter appears to be the only one to now completely separate itself from the SPLC,” Liberty Counsel said. WND reported recently when the Family Research Council and more than five dozen other conservative groups and individuals released a letter asking for news agencies to cut off their ties to the “discredited” SPLC. Sen. Tom Cotton, R-Ark., also has asked for the IRS to review the SPLC’s tax-exempt status, and the American Freedom Law Center sued two Michigan officials for a policy directive that targets groups based on SPLC’s hate-group designation. As many as six dozen other organizations targeted by SPLC are considering legal responses. 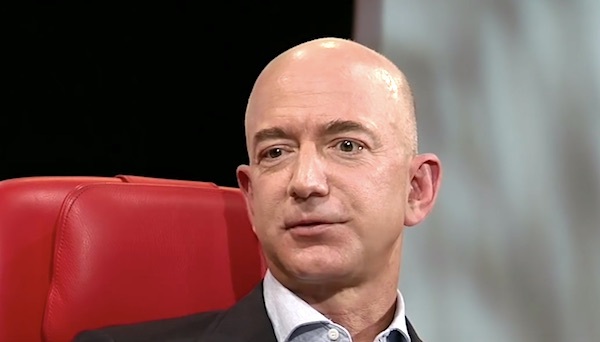 The post Amazon, other techs, called out for 'hate-for-cash' agenda appeared first on WND.